After a somewhat gloomy close to 2018, the New Year has not exactly rewarded investors with warm and fuzzy headlines. Let’s see…first, there was the longest government shutdown in US history, which was hard on the employees who were directly impacted. And with that, the US economy lost an estimated $3 billion that will never be recovered. Then, across the pond, Great Britain’s Prime Minister suffered a stinging defeat of her Brexit proposal and there is no clear resolution in sight. China’s economy was found to have grown only 6.6% in 2018, its slowest showing since 1990. The IMF also warned that global economic expansion is weakening. And, oh, and the S&P 500, a broad measure of US stocks, rose 7.8%, which was its best January return since 1987 . Well, over the short term, markets can seemingly be driven more by sentiment than fundamentals. As 2018 came to a close, investors appeared to think that the global economy was headed for trouble. Plenty of investors panicked in October when the market experienced a downturn and investor confidence sank . But, now those investors are realizing that their panic may not have been warranted. 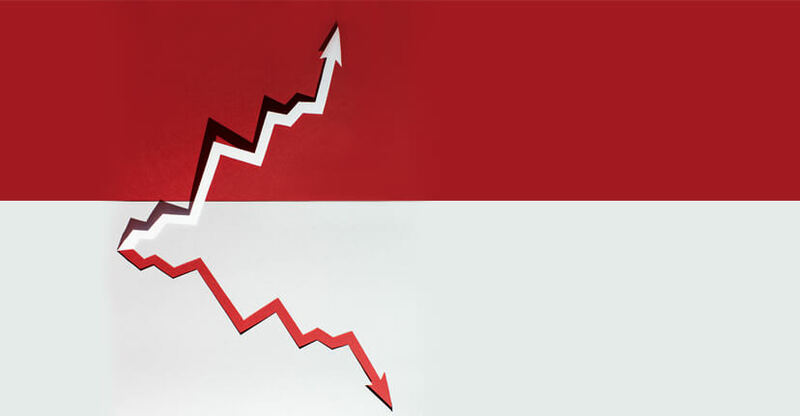 In January, investors seemed to reassess the prospects for the global economy and realized that while some indicators were pointing to slower growth, that doesn’t mean we’re speeding toward a full blown global recession. As expectations about the future grew more optimistic, markets started to rebound. So what does all this mean for investors like you, and how should you react? During uncertain times like these, I like to reflect on the lessons passed down by legendary investors. This month, I’ve been thinking of a lesson from Jack Bogle, the founder of Vanguard and father of index investing, who recently passed away. He was often quoted as saying that when it comes to investing, “time is your friend, impulse is your enemy.” Let’s think about that in relation to the last few months. Successful investing is often just a well-defined plan combined with a well-defined goal. A young couple saving for retirement decades down the road is likely best served by a portfolio dominated by stocks. Those stocks are likely to have the highest potential return in the long-term, but may experience short bouts of poor performance. Similarly, a homebuyer closing on a house in 90 days may want to keep his deposit in cash or short-term bonds because rain or shine, he’s going to need a certain amount of funds when the down payment comes due. You probably see where this is going; If these strategies were swapped, the investment plans and goals would not be well matched. If time is on your side, use it wisely and take advantage; If it’s not, it may be best to limit your risks to ensure your goal is met. If you’re unsure about your goals or the appropriate investment strategy, you should call our financial planners and they’ll help you figure it out. Having a good plan and a reasonable goal is a necessary first step to sound investing, but it’s not enough—you need to stick with it! Sticking with your plan through good times and bad is what may determine whether success is ultimately achieved. It’s hard to stick to the plan, of course. Conservative investors will feel like they’re missing out on the action during market highs, while aggressive investors may seek to dump their stocks during a crash. It’s a natural fight-or-flight response for humans and while it’s appropriate if you ever meet a real bear, it’s likely the wrong response when dealing with a bear market. Think about it next time you go to the grocery store. If you’re starving and without a shopping list, you may reach for the first tempting items you see, like candy or a sugary soda. You’ll get the instant gratification, but in reality, the effects of a sugar high are ultimately temporary and chances are, you’ll feel worse later on. On the other hand, if you come armed with shopping list in hand, fully prepared to stock up on the staples, you’ll not only score a bountiful meal, but maybe even some lunch-worthy leftovers at the same time. It may take a bit more planning upfront, but the result will be so much more satisfying and rewarding. The past few months have also proven the soundness of Bogle’s advice. As the market cratered in the fourth quarter, we witnessed many SoFi members shifting to more conservative strategies or getting out of the market all together. It’s possible that many of these adjustments were planned well ahead of time, but some members may have acted on their impulses as they saw their portfolios decline in value. And it wasn’t just us—UBS said that its clients pulled a whopping net $7.9 billion from their portfolios and investors at large pulled over $100 billion from stock funds during the fourth quarter of 2018. While the investors that pulled their money from the market missed the rebound in January, the investors who stuck with their investment plans were rewarded. While it is important to keep informed of current events to be a responsible global citizen, it’s a fallacy that this alone will lead to better investment decisions for the average investor. So, next time you’re wondering if you should make a change to your strategy based on things happening halfway around the world, give us a ring first. And while you’re at it, make sure you remember to bring a grocery list next time you head to the store. Ready to make your money work for you? Get started with SoFi Invest. The opinions and analysis expressed here are those of Sam Nofzinger as of February 5, 2019. These views may change as market, economic, and other conditions change. This information isn’t financial advice. Investment decisions should be based on specific financial needs, goals and risk appetite.